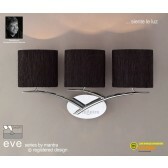 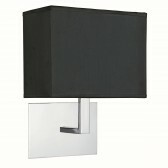 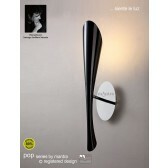 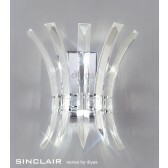 The Modena wall light shows a lovely modern wall light fitting. 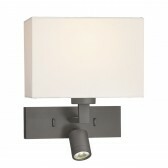 Showing a smooth bronze finish, the light is manufactured using a die cast construction. 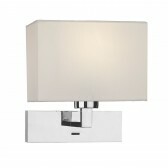 A simple, modern feature that would make a great addition to your interior lighting plan in a modern decor. 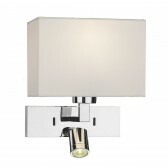 Using LEDs to ensure you get the best lighting source, the fitting is also shown with an ivory cotton shade, which perfectly complements the fitting. 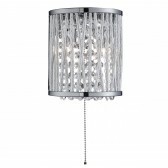 The shade is available to purchase sold separately. Shade code S1123 this fitting is a part of a full range, please see related items for more details.